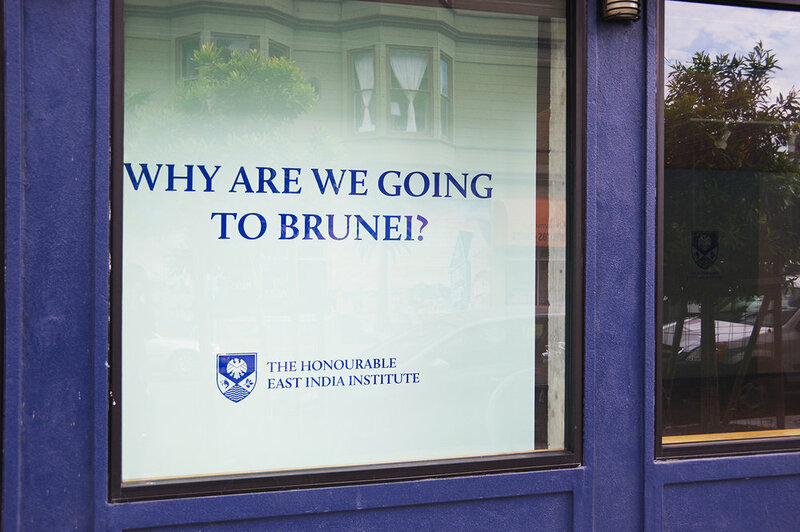 Why are we going to Brunei?, 2015. 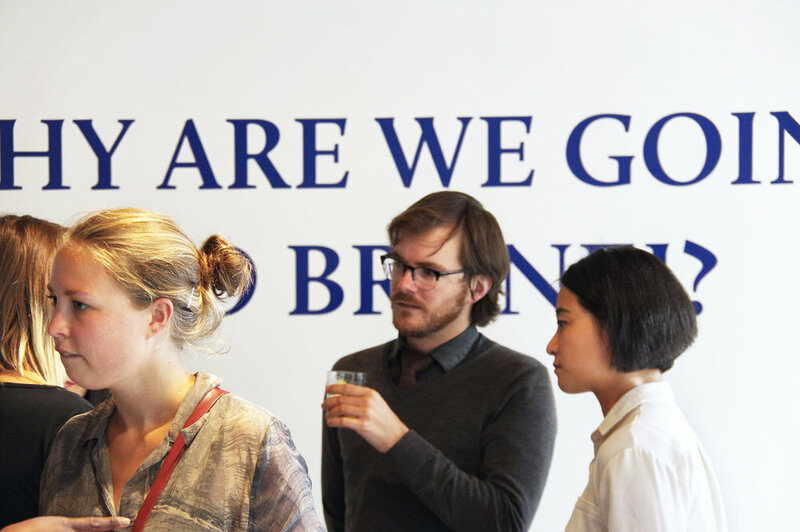 Performance view, Kadist Art Foundation, San Francisco, CA, USA, 2015. The Honourable East India Institute (HEII, www.heii.no) has assembled a team of experts in the study of East and Southeast Asian problems. They come from various disciplinary backgrounds: archaeology, sociology, science, art history, literature, architecture, history, philosophy, etc. 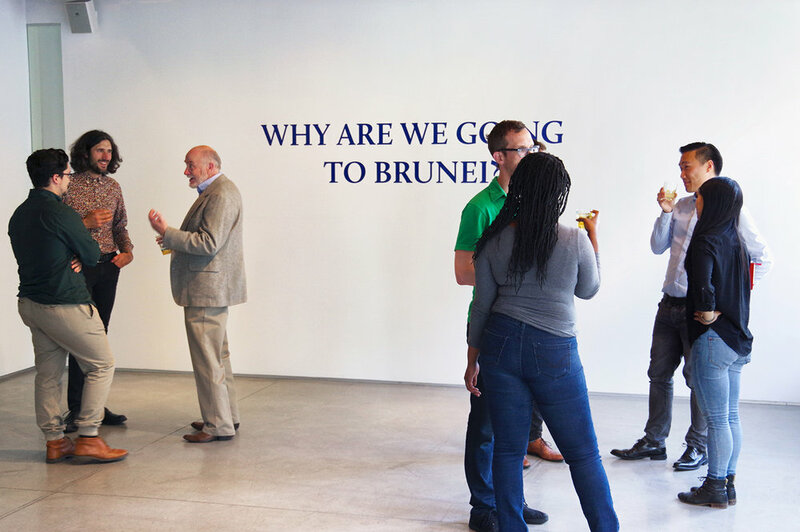 Thanks to a generous grant from an anonymous organization, this group of intellectuals will soon depart on an expedition to Brunei. 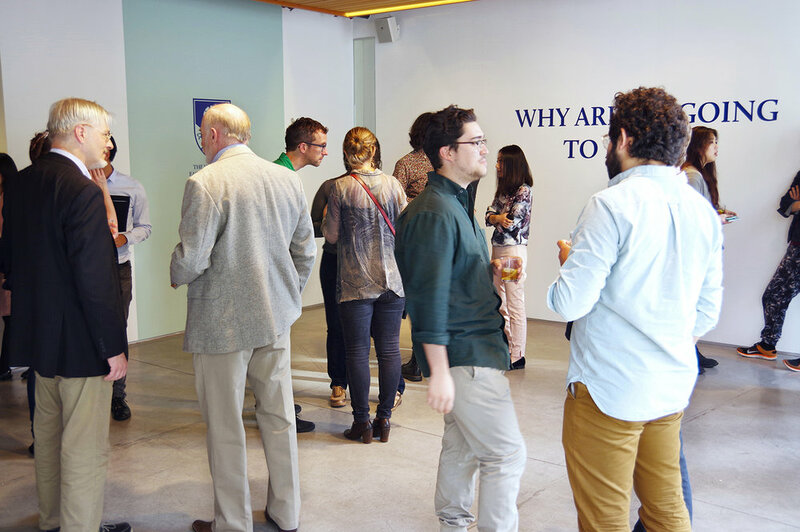 On this day, they share the new progress of their research itinerary with the Bay Area public at the Kadist Art Foundation.